U.S. consumers who interact with a brand via experiential marketing are more likely to become loyal and engaged, according to new research from Citi. On average, consumers take approximately 21 pictures at live events and share them on social media. After attending a live event, consumers are most likely to engage with the event sponsor by visiting the company’s website (38% or 46% for millennials); purchasing the company’s product or services (32% or 39% for millennials); using or wearing an item with the company’s logo on it, such as a shirt or pen (30% or 38% for millennials) or recommending the products or services to someone, such as a friend or colleague (30% or 45% for millennials). “As the attention span of consumers continues to decrease within our always-on, digitized landscape, it’s become increasingly difficult for brands to break through,” says Jennifer Breithaupt, global consumer CMO, Citi. Citi offers consumers one-of-a-kind experiences, including ticket access and VIP experiences, such as entry to an exclusive lounge, meet-and-greets with artists, and backstage tours. “We are seeking to engage consumers through positive moments and emotionally impactful experiences that run deeper than a banking transaction,” Breithaupt tells Marketing Daily. 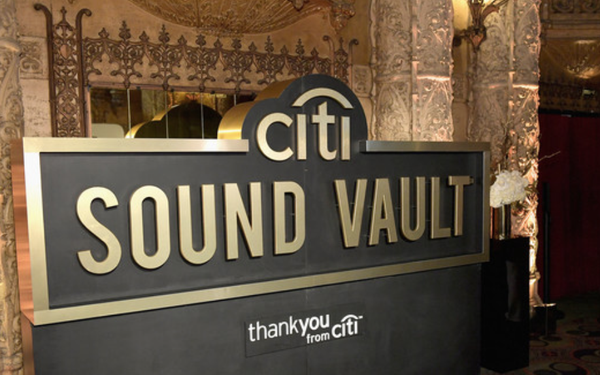 In just over a year since it launched, Citi has hosted 19 Sound Vault shows, resulting in over 1 billion marketing impressions and thousands of experiences for fans and artists, she says. “It’s been a hugely successful way for us to connect on a deeper level with our customers and establish greater brand preference,” Breithaupt says.